The Khazard Battlefield, or simply Battlefield, is a hostile war ground hosting a battle between the Gnomes and General Khazard's army. The gnomes are stationed on the south side of the river, with their cavalry of beasts and catapults, and the Khazard troopers have their own base along with a commander on the north side of the river. If you are passing through, you will normally see fights breaking out between the two sides. 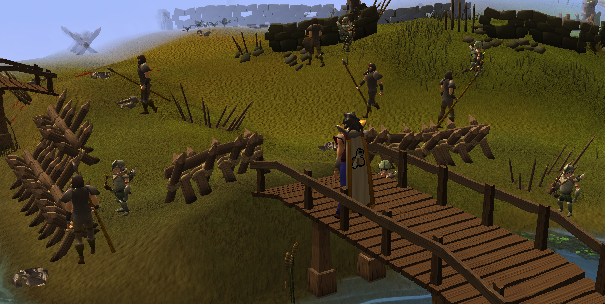 In fact, the gnomes using ranged attacks have even mastered Safe-spotting! 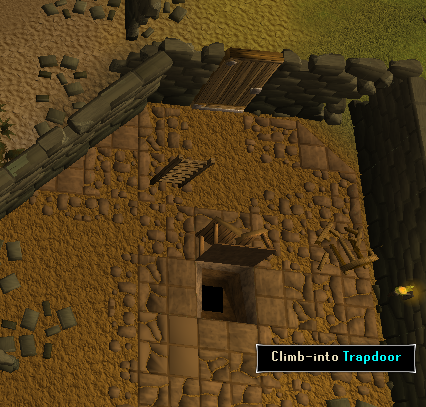 This can also be a fit place for lower leveled players to train combat. There is a Summoning obelisk located on the east side of the Khazard base if you need to recharge your points. The Battlefield is located south of West Ardougne, and southwest of East Ardougne. It is north of the Tree Gnome Village and plays a vital part in the Tree Gnome Village quest. You will find it gently nestled above a river adjacent to the Clocktower. There are quite a few ways to get here. Using a Spirit Tree to the Battlefield of Khazard location is the fastest. The tree is located just northeast of the site. 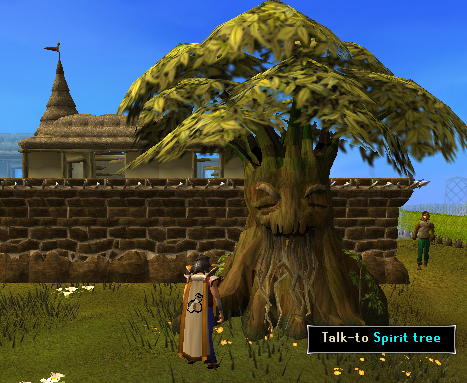 Using the Spirit Trees requires completion of the Tree Gnome Village quest. Ardougne teleport spell at level 51 Magic. You must have completed the Plague City quest to learn this spell. This spell requires two Law and two Water runes. 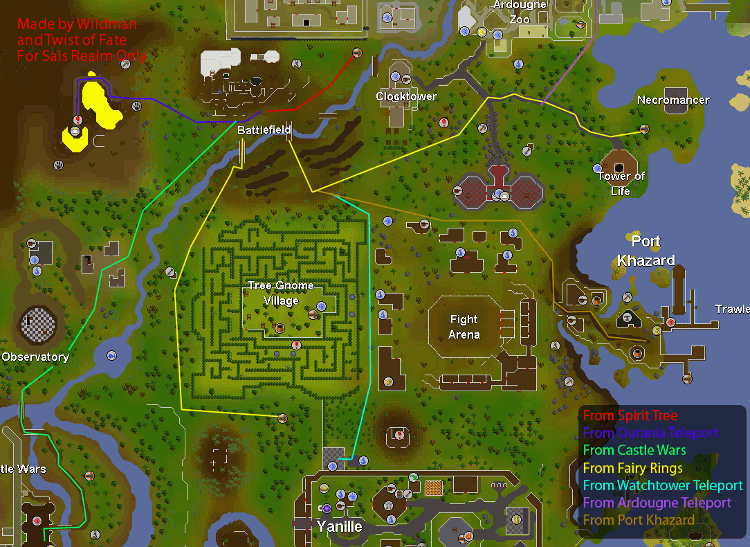 If you have a Ring of Duelling, you can teleport to Castle Wars Arena, and then walk straight north past the Observatory. 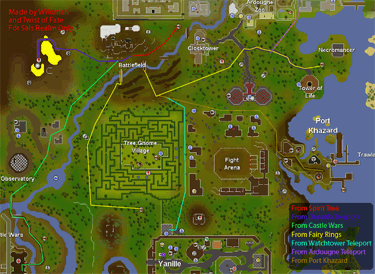 If you have unlocked the use of Fairy Rings, you may teleport to Fairy Ring "CIQ" and walk north past the Tree Gnome Village to the river. Alternatively, you can use Fairy Ring "DJP" to arrive between the Necromancer's tower and the Tower of Life, which is closer to the Battlefield than the other Fairy Ring. 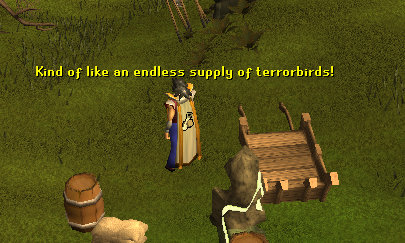 A teleport to Yanille will work just as well. You may also teleport to your house if it is located in Yanille. You must have at least level 50 Construction to have your house in Yanille. The House Teleport spell requires one Law, one Earth, and one Air rune.The Watchtower teleport requires two Earth and two Law runes, as well as prior completion of the Watchtower quest. Charter ships are also an option. Just pay the fee to Port Khazard and walk west until you've reached the river. You may teleport to the Ourania Cave if you are level 71 Magic and on the Lunar Spellbook. This is where most of the confrontation takes place. The Gnomes and Khazard troopers meet up here and fight to the death. You will see them shouting insults at each other, as well as using their own strategies to destroy their enemy. Even though the gnomes probably outnumber the Khazard troopers, Khazard is winning. The gnomes use all three types of combat, while the troopers use just melee. The Gnomes even have animals! 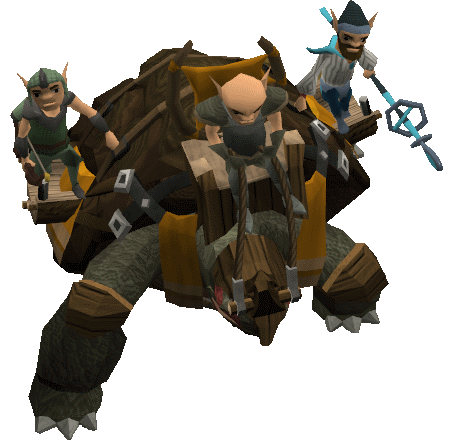 You will see Gnomes riding atop large shelled War Tortoises and Terrorbirds as they defend their land.. If you are using the grounds for training, this is very helpful when you need to recharge your Summoning points. The Spirit Tree is located just northeast of the main battle ground, on the river. It is probably the fastest way to get here. This building plays an important part in the While Guthix Sleeps quest. Downstairs is a dungeon filled with Elite Soldiers. If you follow the dungeon north, you will appear at a staircase leading down. If you go down there, you will be teleblocked until you complete a series of actions. More can be read in that part of the quest guide. He is located in the house east of the headquarters. This gnome is a prisoner, desperate for the battle to end. Commander of the Gnome's front lines on the south side of the river. You are required to talk to him during the Tree Gnome Village quest. Commander of the Gnome's war tortoise battalion.